The Reconciliation of All Things: Please pray with us. Hello all! Praise our God that Noah, our son, has arrived! At 7:15 on the dot, Wednesday evening, he arrived! It was a normal birth, and Becky did great! Noah was born two weeks early at weighed in at 7lbs. 12oz., and was 19 1/2 inches long! Glad we didn't wait two more weeks! He'd be a bit large! I'd hate to be the one pushing! I was there through it all--and I was thinking I'd pass out! But we have a prayer request for you. Noah breast-fed for a short while after he was born, but within 40 minutes, we noticed he was getting colder, turning blue and purple, especially on the extremities. So we asked for another blanket to change the one he was in, which was a bit damp. Our nurse never got the message. However, she DID have this feeling that something was wrong specifically in our room, and she came in to check. Once she saw Noah, she knew something was wrong. She took him from me, put him down on the baby "warmer/incubator", and quickly called in the NICU team (Newborn Intensive Care Unit). Within 30 seconds they were in there, even less, working on him. Later, what we found out was that he had stopped breathing on his own for some reason. Anyhow, the NICU team started doing CPR on him, pumping his chest and breathing for him. Within a few minutes that seemed like an eternity, they got his breathing going with a respirator and took him up to the NICU floor. They did all this in our room, and I turned away from it to block Becky's view from the bed, and I reminded her (and myself) that our God is great, and that our God is good. Our God is a God of miracles, he can bring people back to life...he can take life too. We prayed like we've never prayed before, as most if not all some of you parents out there understand, with groanings we utter because we have no words to say. We thought we had lost Noah, and our thoughts were all over the place. The blame one can place on themselves for allowing something like this to happen...but I reminded Becky that she's never been a mom, and I've never been a dad. There's nothing we did wrong or could have done differently to prevent what happened 40 minutes after his birth. 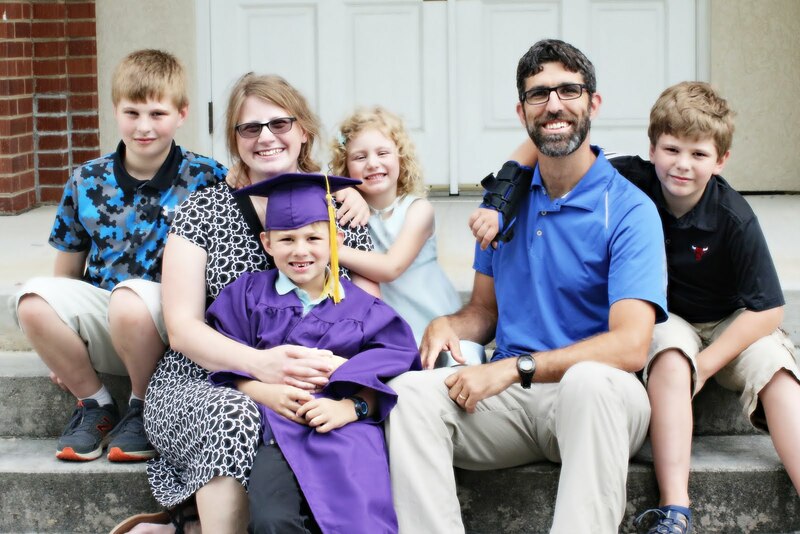 Eventually, the NICU team told us that they don't think his heart ever stopped beating, but he HAD stopped breathing for a period of time, we're just not sure how long...but long enough to turn blue and purple at the extremities. So they put him on a respirator, and had all kinds of tubes in him...and then, and hour and a half later, he pulled out his own respirator!! This guy is STRONG! He WANTS TO LIVE! He has been breathing on his own since then, while they did all kinds of tests on him. He is a strong boy! He takes after his mother---and father too I guess.. :-) All the tests have so far come back completely normal, he's a strong baby! The one thing we found is that he has pretty bad reflux! Anything that goes in, comes up to the vocal cords and makes him gag--stopping his breathing! This is likely the cause of the incident once he was born. 13 out of 100 babies are born with this condition. So now we're trying different medications for him, and if all else fails, he's have surgery--a normal procedure. He hasn't been able to breast feed since that first time Weds. night, which is difficult for Becky, but we'll continue praying. Will you too?? Please, do. Through it all, we know our great God is in control--He is the One who brought us Noah, and Noah belongs to God. He never was ours, and never will be completely ours. He is God's--isn't that what we are supposed to do as parents? Wow, interesting how God's teaching us lessons so quickly! God is GOOD! We are thankful for Noah's life, and ask you to praise God with us! If you don't have a personal relationship with God through Jesus, I don't know how you'd get through something like this. We are finally at peace now, and able to get some more rest. I haven't included all the details, since there is so much going on. But please, do pray, and give thanks to our God. We will keep you posted, and check our website (http://bachellerfamily.blogspot.com) for more details, it's easier than emailing everyone! Thanks! May God be with you as He has been with us during this time. Ben (for Becky and Noah).